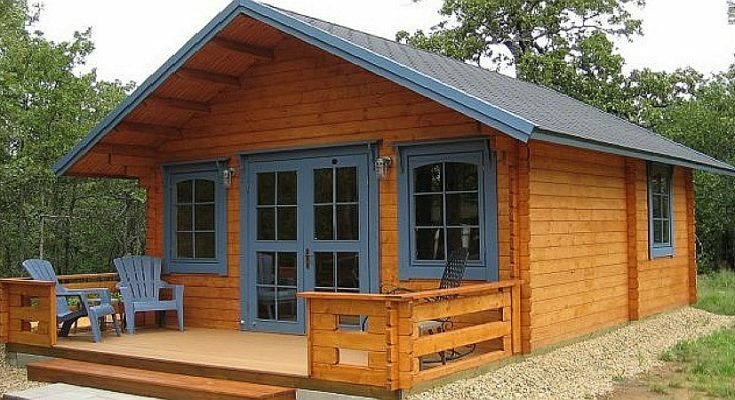 This tiny house cabin is still attractive and roomy enough that you could live comfortably in it, with a low cost of $19,250. With a patio and that extended roof there’s lots of room outside of the actual house as well to enjoy time with friends and family. 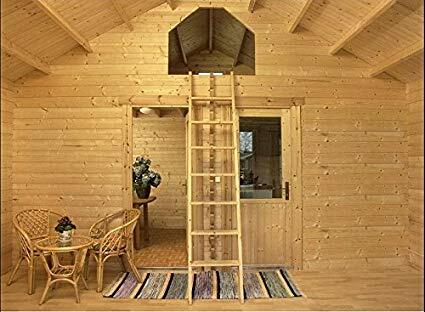 Eagle Point is a truly unique cabin kit model. In addition to recreational use, it can also be a stand-alone retail space or office. Or a hybrid home/business. Eagle Point design looks good in urban areas where most traditional cabins might look out of place. 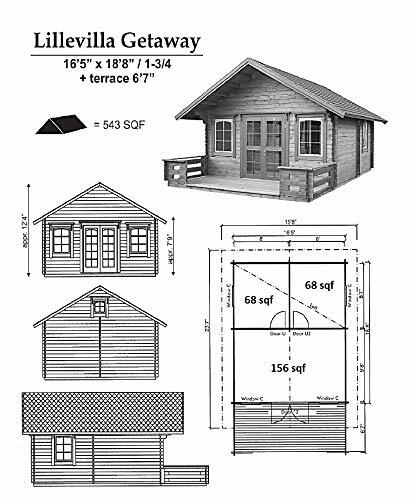 This spacious cabin can be customized to function as a primary residence. Sturdy 2-3/4″ thick walls are milled to dual T&G wind block. This model includes the extra roof insulation package. You can also add windows and extended roof. For other items and options please see the attached spec sheet. Due to the size and height of the structure, we recommend assembly by a professional crew. 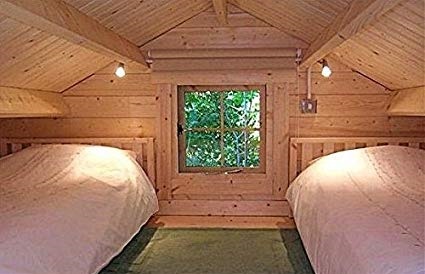 Included in the kit: Durable, dense grain and slow grown Nordic Spruce wall planks, roof and floor boards, Pre hung and glazed doors and windows, Pre assembled gables, All nails, screws, fixings, handles and door locks, and Easy to follow instructions. What is not included: Roofing materials, Foundation materials under timbers such as cinder blocks, for example. Estimated cost for items not included is aprx. $650 – $1,200 depending on the type of roof and the type of site.” This one is called the Getaway.